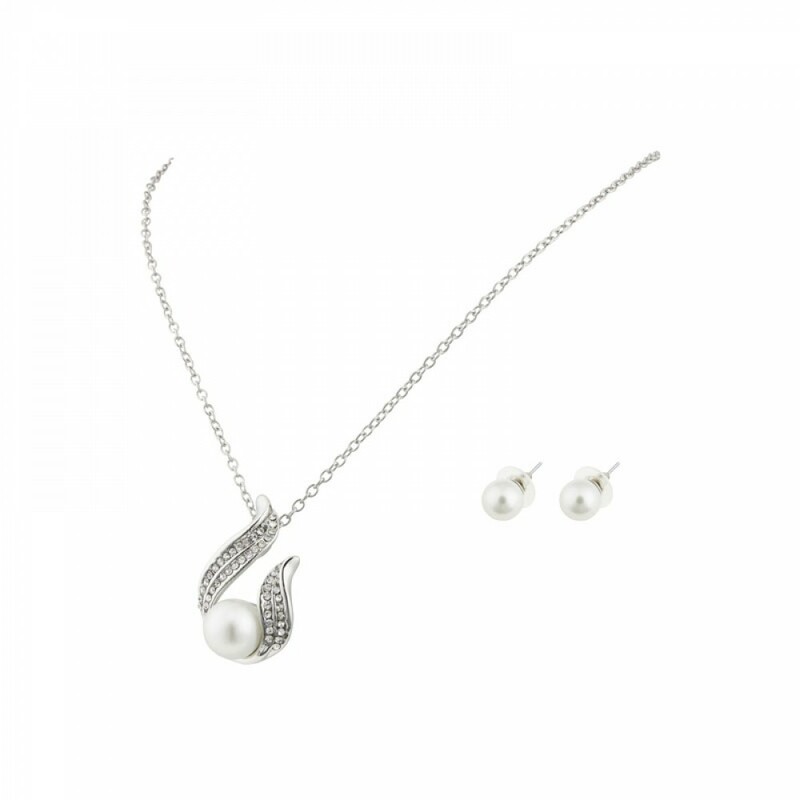 This stunning Crystals white pearls pendant & earring set is sure to accompany any outfit day or night. The pendant is also home to approximately 58 Crystals which surround the centre pearl and hangs from an adjustable 18-20 inch chain. The matching stud pearl earrings measure approximately 9mm. Both come presented in their very own luxurious gift box.